A few garden vegetables were still in the garden partially covered with snow. Soup was made from these vegetables, 24 servings. frozen. The vegetables used were celeriac, beets, daikon radish, onion, garlic, kale, and tempeh. The parts were cooked in a double boiler and made into a soup slurry.Nothing was added to the pot. A bit of salt was added when ingesting. Very tasty and nourishing. More soup was made from the last of the garden vegetable. 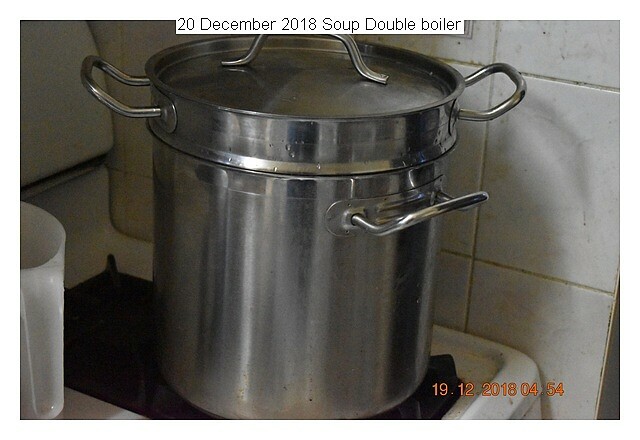 This soup is very filling. 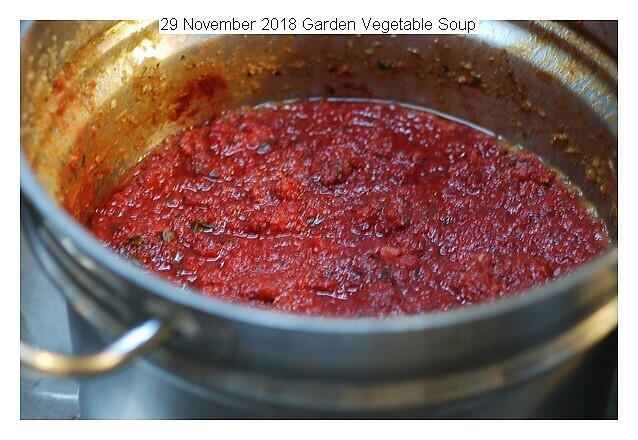 This entry was posted in Uncategorized and tagged 29 November 2018 Garden Vegetable Soup, Garden Vegetable Soup. Bookmark the permalink.